This is a transferred post from AVA forum 1.0. From what I’ve noticed from one side of the community to the other (with exception of some European countries) is that we’re in the midst of a serious contraction and have been for more than a couple years now. 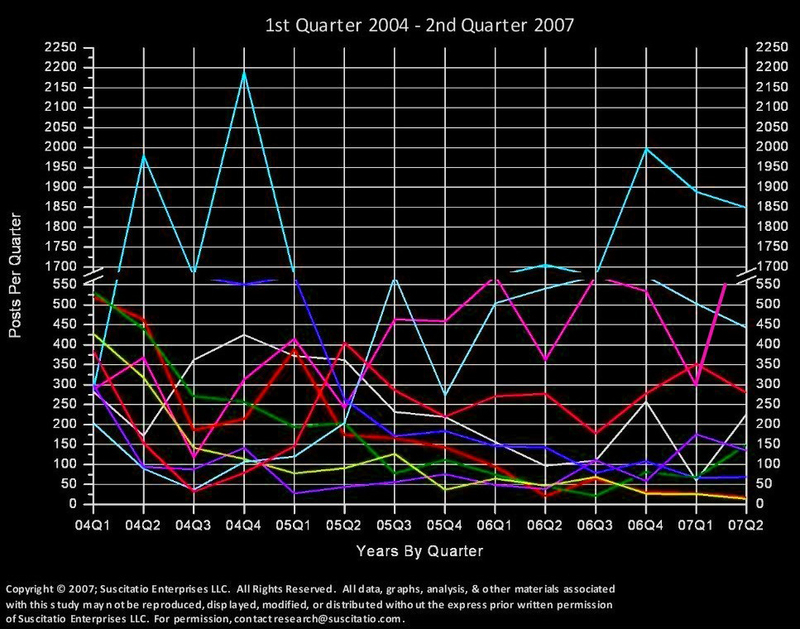 I would argue that this is not only the result of prominent, elder, leader, or whatever descriptor or euphemism one wishes to ascribe to such said persons leaving the community either "permanently" or with longer durations of absence (+ fleeting returns); but in large part from a combination of factors including but not limited to an increasing sentiment that "vampiric knowledge, gatherings, and personal associations" should transition more underground and/or focus on smaller numbers of inquiring individuals (resulting from an increase in LHP/magick/occult/spiritual based groups, backlash to public television documentaries, and “holier than thou” attitudes), the closing of half-dozen forums within the last year alone often without the owners e-mailing/sending their members to other boards, Houses, et. al. to some extent play a role but not universally across the board and the disdain and scathing rhetoric towards all things “organized and membership based” yields a double-edged sword of both hypocrisy and often placing a stigma on the concept of personal/local interaction offline, the sheer saturation of hundreds of smaller internet groups popping up without proper distinction between that of glamour/lifestyle versus educational/responsibility - and owners of many of these groups leaving them unmoderated or updated, the proliferation of spammers creating accounts on forums/posting to yahoo groups, and the general lack of an organized sense of purpose or establishment of any "goals" or "direction" for the community. Essentially an aire of unwillingness for parties who may not always agree with one another to cast aside those differences and focus on commonality, a pulling together of all those spread to the wind, quality events/gatherings that don’t just center around Goth clubs, drinking, and debauchery (sure, from time to time they have their place in moderation) but also involve discussion groups/workshops, and increased education with a follow-through attitude (the antithesis of “Here is the info, go read it and let me know if you have questions and I’ll pass you off to someone who has time to answer. Oh, and if they don’t know the answer or have time just default to whatever feels right to you since vampirism or energetics for that matter is best guess anyway.”) - not the stroking of egos, setting up of fly-by-night groups/houses, and online/offline publications of rehashed pseudo-intellectual dribble. Solutions… try reaching out to those you see orphaned on smaller sites that have fallen in disarray, contact those with unanswered/improperly addressed posts, call people down on their “bs” if such is justified regardless of how “popular” or against the grain it may be at the time – nothing wrong with healthy debate, make strives for amends with whom you hold disagreements, stop mixing your personal lives with the community (offline and online) as a public affair and in the next breath rant about how “drama” is so prevalent, take the time to work with other forums/groups/houses/meetup groups/etc. on a one-on-one basis to share information, meet face to face or online chats, and generally be more involved without the isolationist or “I’m safe here” mentality… there are thousands of people out there who would like “proper” information and “a sense of community” and what I can promise you is the individuals who take the time to answer their calls, seek them out where they are, window dress it to be appealing and enticing, and create the reading material for this generation will succeed at capturing their attention and favor. Personally, I’d rather that be a responsible, non-political oriented, creative, fun, but yet level-headed group of individuals. My earlier post did not imply the gathering of one large consensus of ideas among members of the community, but rather a grass roots effort to draw together those who ask questions of vampirism outside of the "popularly recognized" forums via web sites, groups, etc. only to have them ignored or answered by individuals having nothing to do with the community or little or no knowledge of the subject matter. While there are stewards of the community out there nudging people to discover excellent resources such as DE, this is the exception and not the rule, as the web is littered with persons who's first google search, top 100 web banner clicks, and other encounters on myspace/vf/vr/yahoo/gaia/tribe/msn/aol/etc. lead them to dead ends, superficial sources of information, pretty-shiny-glittery-fluffy "vamps", or platitudinal rhetoric and deceptive verisimilitude. 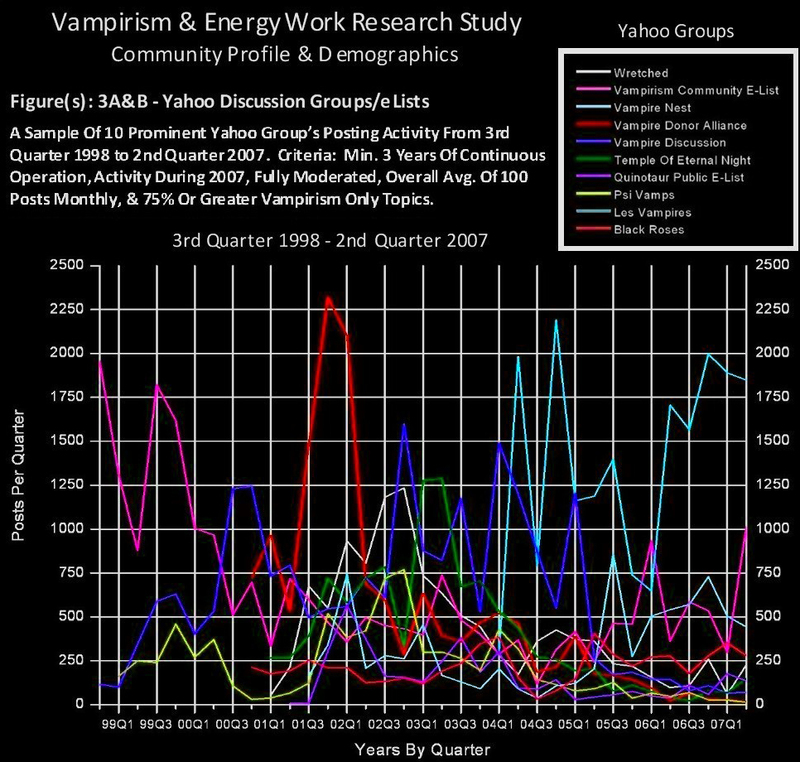 An example of such from within our own community: The other day I visited a popular vampirism forum with a section on vampires in specific regions wishing to network with others in their area. Countless posts bore the sentiment of "Woah is me, there are no vampires in my area!" - however, the irony to the majority of these posts is there are numerous established and well known groups/meetups/etc. in their area and rarely did anyone take the time to send them the links to these sites/groups (at least openly in a reply post). As someone part of a House myself, I understand and uphold the privacy of offline groups that wish to remain shielded from others, but recognize the importance to connect others with responsible public/open networking groups when possible. A more egregious example of such from outside our own community: I'm a member of numerous energy work/psionics/spiritual/etc. based forums and sites and without fail at least weekly someone on these sites post "What can you tell me about psychic vampirism..." or "I think I might be a psi vamp..." or "I'm having a craving I can't explain for blood but I know I'm not insane.." or "I am being attacked by a psi vamp...". The replies to the majority of these posts range from "vampires are people who haven't learned to balance their energy and should be avoided" to "vampires don't exist - they are just emotional chaotic persons or depressed Goth teenagers" to "seek the professional help of a psychiatrist" to "Yeah, I read this book once by Kostantinos..." Granted a few sites actually link them to reputable sites within our community, but very few are actually able to provide accurate information in response to their questions. I realize it's not our responsibility to go out and teach others how to properly "find" the real vampire or occult community, however, when we come across those who seem to be having difficulty, it's my hope we take the time to direct them here and elsewhere that may best serve their needs. The pessimist or perhaps realist in me feels the community may need this contraction to clean up its act and actually grow more close-knit as a result - though that isn't a helpful message to those wadding through at the moment. In the end it is what micro-level steps we can take as individuals on a one-on-one basis to enact change, tighten the loose ends, properly educate, and solidify a stronger core base of participants that will matter most. I can completely understand and aggree with what you are saying. Social and cultural stigma keeps the vampire/et. al. subcultures underground, which makes it harder for us to find thoes who truely need help. It is a question that should be asked, but with the community as fractured as it is, how can we get a concencus? It would be nice to show some solidarity on a global scale, but I am not sure how to acomplish it. We have the internet, but it lacks a personal touch. I belive that for the most part, communication is the key. If we cannot facilitate communication with each other, then there isn't much else to be said. I believe there is a process of growth and decline that most groups go through. To make an assessment information is needed to base a decision on. There are so many factors of success and failure to guide mangaement. Personal leadership plays a crucial part in the groups life cycle. Other organiztions produce manuals about how to use group dynamics for growth and continuing survivability. The Vamp community goes through a learning process with each new group, but apparently is retained only in the memroies of the organizers. Perhaps a central reference can be used to aid others in lessons from the past? So far this is unexplored ground and the future is open.